Description: Annabel Scheme is a detective story set in an alternate San Francisco where the digital and the occult live side-by-side. It’s a short, snappy read — about 128 pages/128,000 Kindle locations — and perfect for people who like Sherlock Holmes, Douglas Adams, ghosts and/or the internet. Finally, it makes a great Kindle gift. In Scheme’s San Francisco, an indie rocker’s new tracks are climbing the charts, even though the rocker herself is long dead. A devout gamer has gone missing, and the only trace of him that remains is inside his favorite game, the blockbuster MMORPG called World of Jesus. And the richest man in the city, the inventor of the search engine called Grail, might just have made a deal with a devil. Meanwhile, Annabel Scheme has just hired herself a Watson, an A.I. assistant who’s now learning the ropes on a case that will quickly transform into Scheme’s biggest — and possibly her last. Come on. Fog City is waiting. Review: I’m not sure what I think of this Kindle novella. It’s too weird. It starts as a PI comedy. It proceeds as an odd kind of mystery, on the intersection between the internet and demons. It ends in a tragedy, with an assortment of loose ends still dangling. And in between, there are too many unanswered questions. But all the same, it was an absorbing read, very much 21st century. Although I’m not sure I liked it, never once did I want to abandon the book, so I can’t give it less than 3 stars. 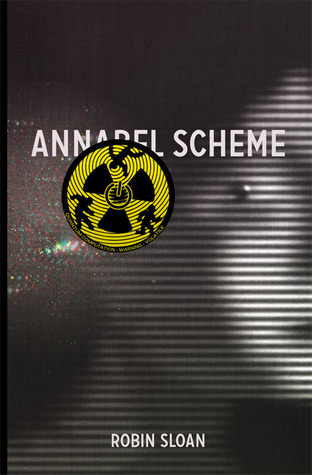 The protagonist Annabel Scheme is a PI in an alternative version of San Francisco. She has an assistant – a computer server named Hu. His video and audio interface is located in Annabel’s earrings, so he can see what she sees and hear what she hears. He can also process information at the server speed and he has an unlimited extension capabilities. The story is told from his POV. Their client is a young musician complaining of illegal distribution of his recordings that don’t exist – with his former partner who is deceased. From here, it’s a helter-skelter gallop by Annabel and Hu, involving a super-powerful digital search engine Grail (note: not Google), an online game World of Jesus, dead people, quantum computers, falafel, and a sinister website where body parts are for sale. The baristas here all have law degrees. Just a hunch. Note to self: find software for that. Grail’s quantum computers offer an advance variation of a search engine, one that doesn’t need a search box, just a button. You pressed it, and it simply gave you what you were looking for. It worked even if you didn’t know what you were looking for. It worked even if you couldn’t admit, not even to yourself, what you were looking for. This reads like a horror version of a search engine. Perhaps this book belongs to the horror genre. Description: NOS4A2 is a spine-tingling novel of supernatural suspense from master of horror Joe Hill, the New York Times bestselling author of Heart-Shaped Box and Horns. Review: I am a big believer that reviews are entirely subjective. That’s why I kind of hate giving them a number rating (and thus my 3.89 rating is meant to cause a glitch in this matrix). A literary novel I rate a 4 star isn’t worse than the light-hearted or irreverent piece that I give 5 stars. They just have different intentions. It also seems reviews are skewed by expectations of the author, as well as hype over a book. 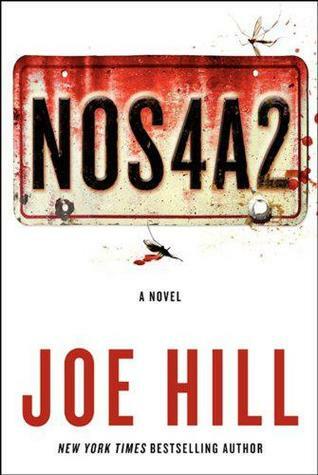 As for Joe Hill’s NOS4A2: well, with great genes come great responsibility. 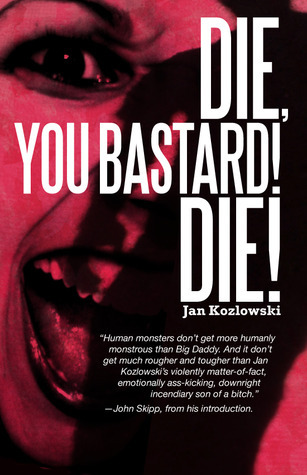 If I had downloaded this book as some freebie from an Indie author, I may be screeching a different tune. But I did not. In fact, I think I paid 13 dollars for the kindle version. But I did so waiting for some excellent reading. For me, NOS4A2 was a great book, but not an excellent one. It was an excellent world, with excellent characters, and excellent parts, but of all the kindle downloads that I’ve broken my “never pay over $9.99” vow, this one is the closest I have to a regret. That all sounds so drab! Wait. 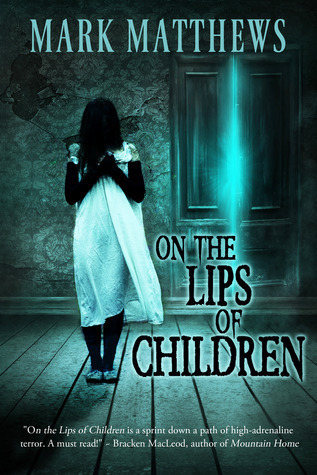 It is a smart, clever, and wonderfully blended world of horror and fantasy dripping with angst an emotion. While the book was long, I could have read another 500 pages of dialogue from Charlie Manx. I loved his voice. An unforgettable villian, and it was the best part of the book for me. I wanted to be in his head more. ‘Bing’ is the misfit character lulled by evil seen in so many of Stephen King’s novels, and was another show stealer. However, I found myself skimming at some trite cop scenes. I found the psych ward references and obligatory AA references for the adult Victoria unconvincing. Also, the climax just didn’t give you the money shot you hoped for. I did love the denouement very much, and in fact, love the word denouement and never pass up a chance to use the word. If this novel were part of his dad’s collection, it would be a middle of the packer. If I had paid $4.99 and this been any other author, then I would probably rate it a 4.746 out of 5 stars. Description: Claire is a first-rate paramedic, with a heroic devotion to saving lives. She is also a survivor of unspeakable abuse, who has rebuilt herself entirely, as far from home as she could get. Review: Wow. How to describe this book? It blew me away. The experience reading it was powerful. Much like the title, this book makes no apologies, and after reading it, I certainly don’t need one. It started out as a great novel with distinct, interesting characters and intense enough action scenes. I fully trusted the author and entered into her world, ready to partake in a great thriller. What I wasn’t ready for was a hand to shoot out of the pages and suddenly put a knife to my throat, but that was basically what happened. My eyeballs started to bleed and my heart shed tears. This is not so much horror as it is ultra-realism. The horror isn’t what is happening in the book as much as what can happen at the hands of humans. Things we want to dismiss. This is a great piece of work, not some gratuitous bit of shock horror. I didn’t ever get that feeling that the author was smirking behind the page, just happy she grossed us out. Characters under pressure had their essence squeezed out of them, and with each bit of action and dialogue these people were brought to life. The sickness that existed in their hearts never wavered, which made the story all that more terrifying. The journey of the main character was riveting, never cliche, and never certain. But there were moments where I looked away from the pages, thinking, if this continues, I don’t know how much more I can take. The author turns up the intensity and lets you boil for a while, but always seems to gauge where the reader is at and turns the story to a place you can continue. It demanded breaks, but commanded your attention. I became like a kid covering my face with my hands but peeking thru my fingers. This book is no escapism like some horror or dark fiction, but it is a fantastic piece of art. 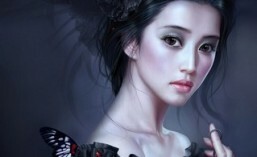 Description: Julia Winward, a young American woman, has been missing in England for nearly a year. When her mutilated body is discovered in the Thames, her brother, Josh, is determined to find out what happened to his sister during that lost time. But nothing Josh discovers makes any sense: Julia had been living at an address which hadn’t existed since World War II . . .
Review: This was a strange little tale. I wasn’t sure what to expect. I sometimes jump into a novel, knowing absolutely nothing about it, just to keep myself in suspense. I thought it would be a good idea to approach The Doorkeepers this way, since I did know that it fell into the horror genre. Early in the book, there is quick mention of the Abba song, Dancing Queen (one of my all-time favorite hits), and then character that mentions the song almost immediately orchestrates a rather vicious murder. It was almost as if Masterton chose that particular song to lull the reader into a false state of complacency so that when the brutality struck it would be all the more horrifying. Crafty boy. The plot of The Doorkeepers follows the story of an American man and his girlfriend who journey to England to find out more about the murder of his sister. As they begin to investigate, they discover that his sister may not have been murdered in modern day England after all. It turns out that there are hidden doorways that act as portals between dimensions, and that she may have been living in another dimension at the time of her murder. No big deal, except that many of these dimensions are not happy, friendly places, and there are people willing to go to extreme and terrifying lengths to keep these doors open to maintain their warped version of the world. I would have liked a little more detail in the world building – the author was kind of vague at times in his descriptions. For example, it was never quite clear exactly WHAT the Doorkeepers were. It also would have been nice to learn more about how/why Boudicca was able to create the doors in the first place. The ending seemed rushed, almost like he could not think of a really good explanation or go bored or whatever. I is a pet peeve of mine when authors lack a solid conclusion. Nevertheless, overall, I’d say I enjoyed it. I like a good creepy tale. Some of the scenes were totally disturbing, but that is what I expect in a book like this. I hate when authors are writing about something horrifying and they shy away from actually making it so. So, I give Masterton credit for this. Review: Justin Cronin has taken it upon himself to tell a rather long and ambitious tale. 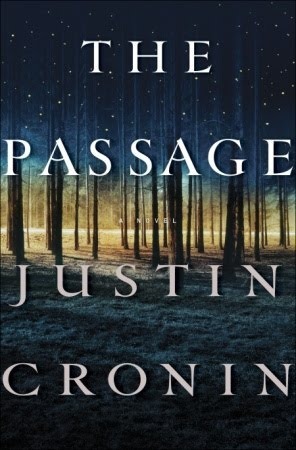 The Passage, weighing in at 784 pages, is just the first installment of this saga, so be prepared to settle in for the long haul. The book requires patience, as Cronin weaves between different perspectives and time periods as he slowly and methodically lays out his tale. The Passage tells the story of the rise of vicious vampire-type creatures that have caused the near destruction of the world. The first half of the book explains that circumstances surrounding the creation of these monsters and their subsequent infection of society. The second half of the book follows survivors of the catastrophe and their struggle to try to save what is left of the human race. From the description, it sounds like this is an epic, action-packed story. Not so much. Don’t get me wrong, there are quite a few action scenes and some of them are very well told. The scene where all hell breaks loose at the secret compound in Denver was very well-written. However, the action seems few and far between, as they are spread out among a lot of long-winded prose explaining all of the characters in great, and often, unnecessary detail. For example, the book opens by telling the hard-knock life story of Amy’s mother. Amy is a vital character to the plot of series, not just this first book. However, the author could have given the mother’s background in a few sentences, rather than a few chapters. In fact, the writing style reminded me at times Mary Shelley’s Frankenstein, seeming overly focused on everyone’s internal motivations and past history. This is not a compliment, I could not finish Frankenstein. Cronin’s opus is indeed slightly more enjoyable, I did make my way through to the end, after all. The book often felt a little ADD, changing perspective AND writing styles. I am generally not bothered by alternating point of views, but Cronin took this a bit to the extreme. He would spend a lot of time focusing on a group of characters, then boom, he is off somewhere completely different. Oh, and he tells the story through a combination of narrative, letters, and diary entries. 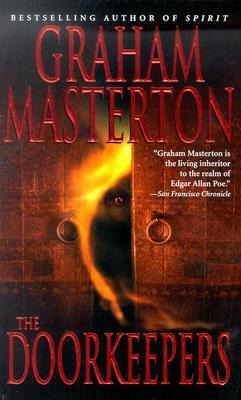 The author was also guilty of committing one of my worst fantasy/sci-fi infraction, conflicting mythology. He has described that sunlight is harmful to his creatures and harms them. This premise is a key component to the survival of his characters. However, he has a scene where his characters flee the “sticks” (their derogatory name for the creatures) in broad daylight, and yet the creatures give chase. How is that possible? Further, his Mensa-candidate survivors decide to take refuge in a mall where there is plenty of shade to aid the sticks. It makes no sense! Gah! Overall, the book wasn’t bad. There were compelling characters and the story was interesting. It probably would have been better told in at least 200 fewer pages. After hanging in there until the very end, I was rewarded with an ending that just kind of petered off. I am sure the author intends to pick up the thread in the next book, but the question is, will I care enough to read it? The jury is still out.